Shachar Carmeli was born in Mitzpe Abirim in the western Galilee. He began his undergraduate studies at 16 at the Open University of Israel, during high school. After high school he postponed his military service to volunteer for a year with the youth movement Bnei Hamoshvim. Shachar finished his BSc in mathematics at Tel-Aviv University in the Arazim program, an Atuda (deferred military service) program for outstanding students in mathematics and computer science. 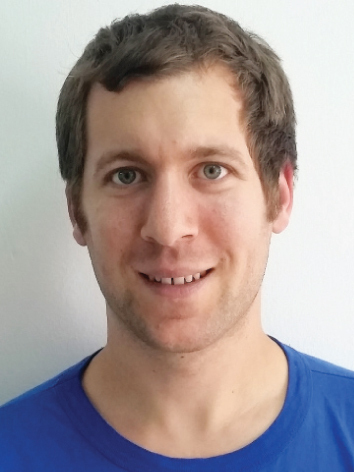 During his studies he both participated in the International Mathematical Competition (IMC) and helped train the Israeli team for the International mathematical Olympiad (IMO). Since then, he has remained involved in training the teams for the IMO. Shachar served in the military for over 5 years in a technological unit and commanded a research team in the last year of his service. He completed his MSc at the Weizmann Institute of Science during his military service. His supervisor for his MSc thesis and his PhD. studies is Dr. Dmitry Gourevitch, with whom he worked on verifying the stability and Gelfand property of symmetric pairs. He is currently studying invariant distributions on algebraic manifolds for actions of algebraic groups.